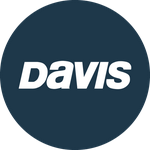 Davis Instruments Support, FAQs and Troubleshooting - How do I install CarChip in my car? All Categories ​>​ FAQ ​>​ Vehicle Monitoring ​>​ How do I install CarChip in my car? It's simple. Just find the OBD II port under the inside dash and plug in CarChip. There are no installation charges or wire harness splicing required. How do I connect CarChip to a computer? Can I use a USB port? How is "Fuel usage" determined on my CarChip & Connect?